The Bright red coloured drink helps in quenching thirst. 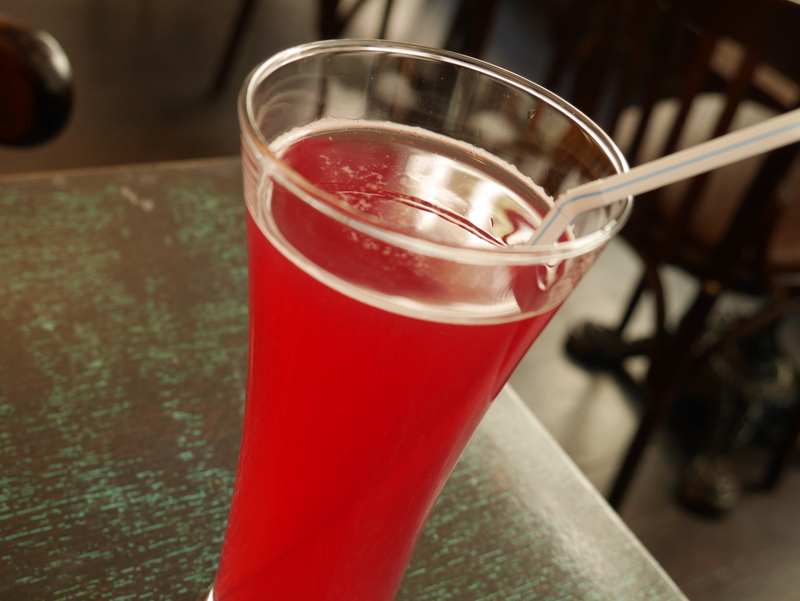 This tasty drink is made from concentrate of Kokum ( dried cover of fruit Garcinia Indica). Best suited for the summer heat.